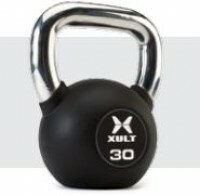 Our beautybell is a very unique and attractive dumbbell made with the same quality materials used in making high end dumbbells and is built to withstand the demands of a high usage environment. The beautybell is designed specifically for group fitness and functional training with its “anti-roll” design. Completely encased in a thick layer of long lasting commercial rubber or urethane. Sold as a pair. Rubber: 2 year limited warranty. Urethane: 3 year limited warranty.